The Pacific Ocean is home to a spectrum of colours; lush green vegetation, deep blue sea and tropical sea life ranging from hues of purple to orange to yellow. 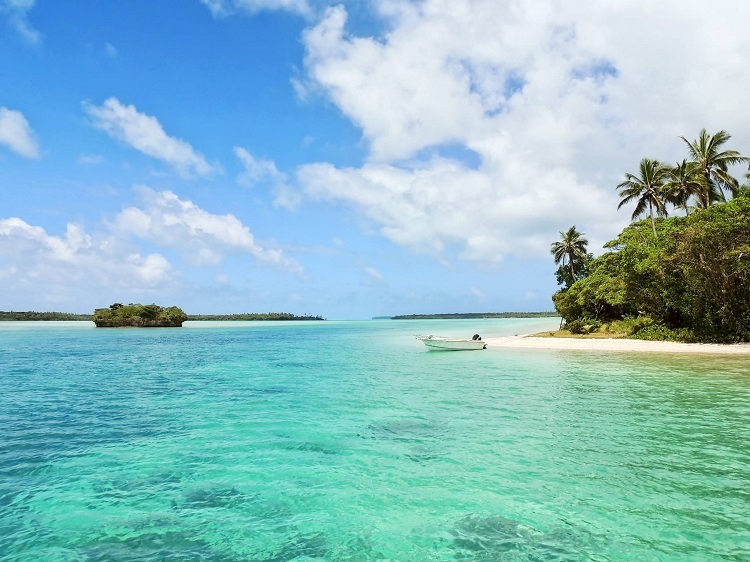 Inhabiting the largest ocean in the world, the South Pacific is a truly spectacular and luxurious location which will leave you singing all the colours of the rainbow. The crystalline waters of the South Pacific encircle the shores like sapphire necklaces. 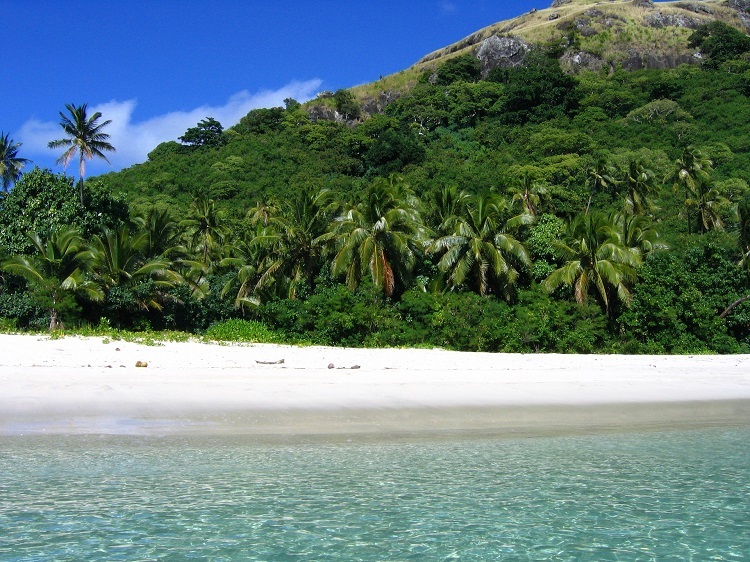 The aquamarine coastline is one of the main reasons many flock to the shores of the South Pacific on luxury cruises. From water activities to shore-side sunbathing, the azure sea is the perfect backdrop to all manner of paradise island pastimes. Tonga is a prime location for whale watching – where these beautiful marine mammals glide through the currents and leap through the waves. It is apt that the largest ocean be home to the world’s largest creatures, and a small boat trip or stay in Tonga marries the two perfectly. 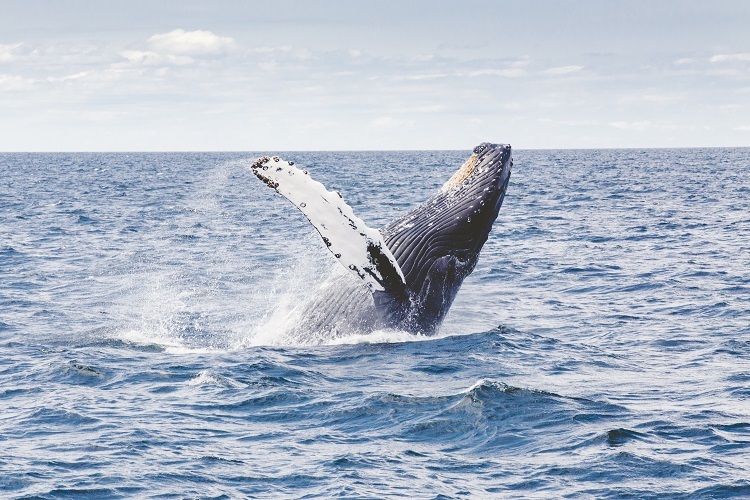 Humpback whales travel more than 6,000km from the Antarctic to the Kingdom of Tonga, where mothers give birth in the warm waters of the islands. This is one of the only places where you can enter the water with these gentle giants, witnessing humpback mothers and their calves exploring the idyllic waters. 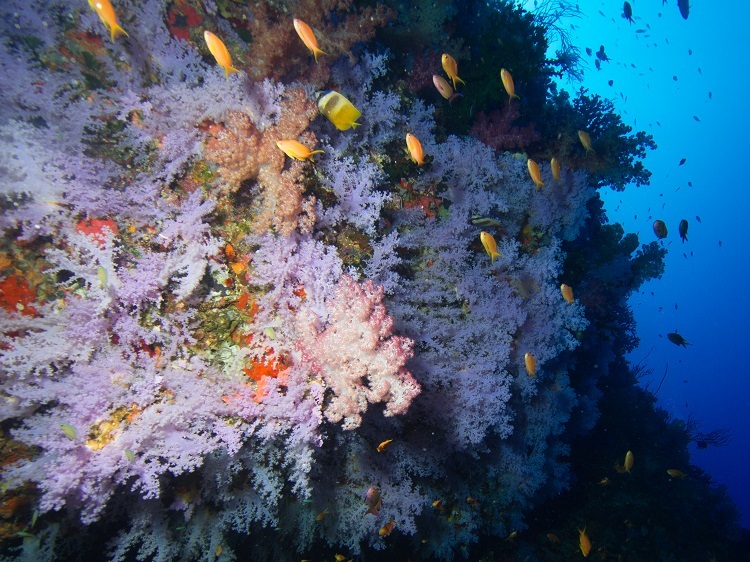 A multitude of plant species can be found in the Pacific Ocean. Kelp forests grow in the shallow areas of the sea, creating sanctuary from predators for small fish. On the sea floor, sea grass grows only where the sun can reach it, and is also home to numerous fish, molluscs and worms. Above the surface, rainforests blanket the Solomon Islands, with 77 per cent of this land covered by tropical forest. Fiji retains more than 50 per cent of its forests, and is part of a reforestation program to reduce the pressure in natural forests. The largest rainforest in Polynesia can be found in the Samoan Islands, containing native species including the tooth-billed pigeon and the maomao honeyeater. 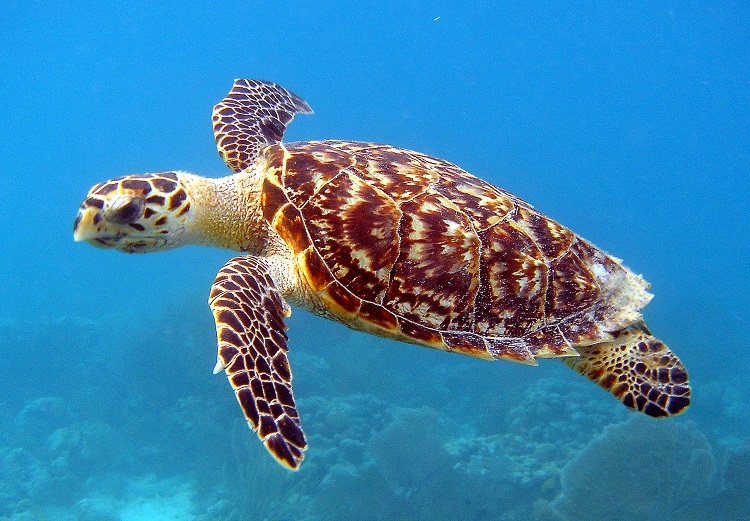 The Pacific is home to six out of seven sea turtle species, including the Hawksbill sea turtle. The Arnavon Islands are a perfect location for these endangered turtles, as they thrive among the shallow surf and sandy beaches; perfect for nesting, mating and feeding. As well as their beautiful brown patterned shells, these turtles also emit a glowing biofluorescence due to the toxins in their diet. 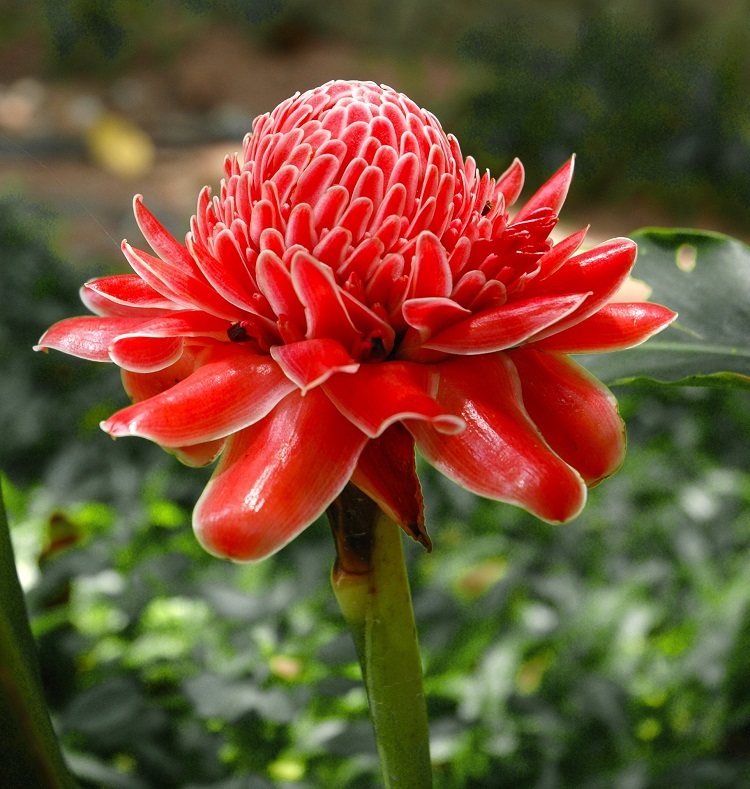 The national flower of Samoa is a bright red flower, known as the Teuila or Red torch ginger, used in ceremonies and arrangements throughout the year as it is the region’s traditional colour. The waxy petals are also used for ula (a necklace) which is worn around the neck or resting on the shoulders, featuring heavily in the annual Teuila Festival, celebrated in the Samoan capital of Apia. Named after a respected photographer, Denise’s pygmy seahorse is one of the world’s smallest seahorses. No bigger than your fingernail, it is a vibrantly-coloured master of camouflage. Living exclusively on gorgonian sea fans, the creatures survive at depths of up to 90m in coral reefs across the Pacific, including Papua New Guinea, the Solomon Islands and Vanuatu. 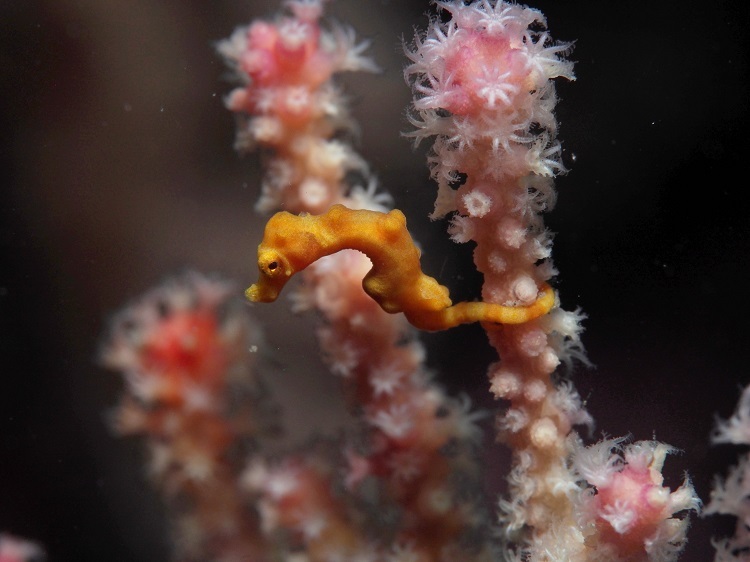 The seahorse’s orange colouration matches the stems of its sea fan home perfectly. 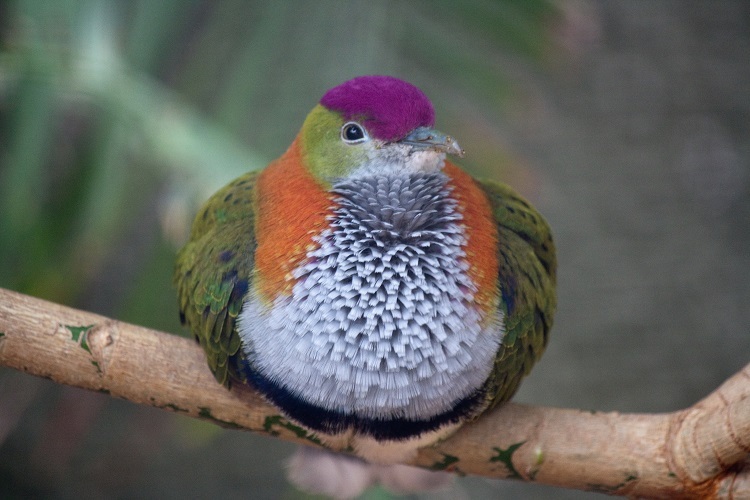 The purple-crowned fruit dove occupies the rainforests of New Guinea, Australia, the Solomon Islands and the Philippines. A fully-grown male has a fiery orange nape, green ears, a grey breast and olive-green wings, with a dark blue band around its middle and a bright purple crown on its head. Despite this vibrant palette of plumage, the birds are still well-camouflaged against the rainforest foliage. The colours of the South Pacific brighten up the islands through trees offering shade in the heat, the waves crashing onto the shore and the exotic wildlife swimming beneath. With varying hues offering destination highlights, the South Pacific is a kaleidoscopic masterpiece.